Viva Films proudly presents Your Place or Mine a hot romantic love story this summer. The movie is based from a popular wattpad novel of the same title written by turning_japanese. It will be directed by the award winning director Joel Lamangan. The film will be starred by Andi Eigenmann, and Bret Jackson. It is Jackson’s first lead role in a movie and first time to team-up with Andi who was linked to him. The controversial Ms. Eigenmann on the other hand is offering her 2nd movie of the year. In which, if you remembered, her first movie this year was a complete horror thriller film that was shown last January. So it is a total shift of the movie genre for Andi Eigenmann. Joining the two are Andre Paras, Jovic Monsod, Anja Aguilar, Donnalyn Bartolome, Clint Bondad, Gerard Garcia, Ashley Rivera, and Imee Hart. Your Place or Mine is a modern day love story that definitely people of this generation can mostly relate to. 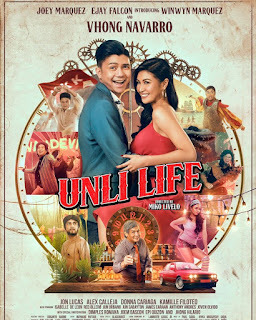 The movie is about Haley Saavedra (Andi Eigenmann) who just got out from a bad break-up from her two-timer cheater Vince (Jovic Monsod). Then one night, Hayley went to a party then met Russel Sandoval (Bret Jackson) whom she had a one night stand. Hayley and Russel thought that they will not see each other again but fate intervenes and they met again. Will she open her heart again? Will she risk her heart for a chance of true love? Or will she get hurt again? Catch Your Place or Mine in cinemas near you. The movie is set to be released on April 29, 2015.